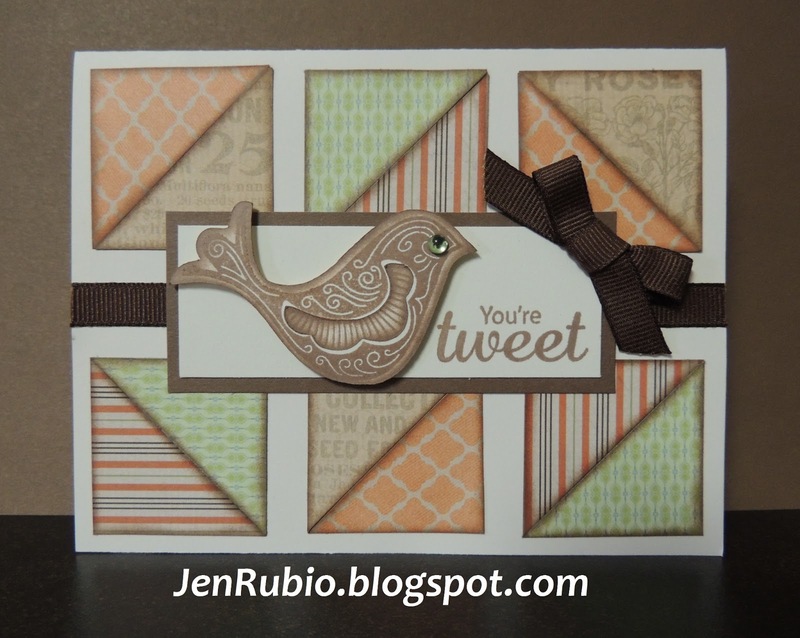 I just LOVE how well this stamp set coordinates with the Cricut Artiste Cartridge! I also LOVE how well it can work for both Spring and Summer...and for my local friends...these are also the three cards we'll be making at my $5 Card Class this month on Friday, April 12th at 7pm! 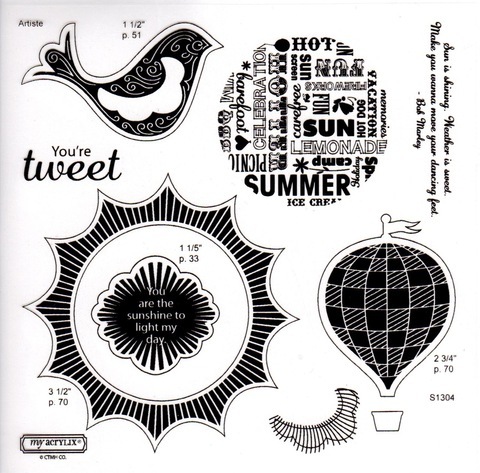 Finally, here are all the images (below) that come in this fun stamp set! 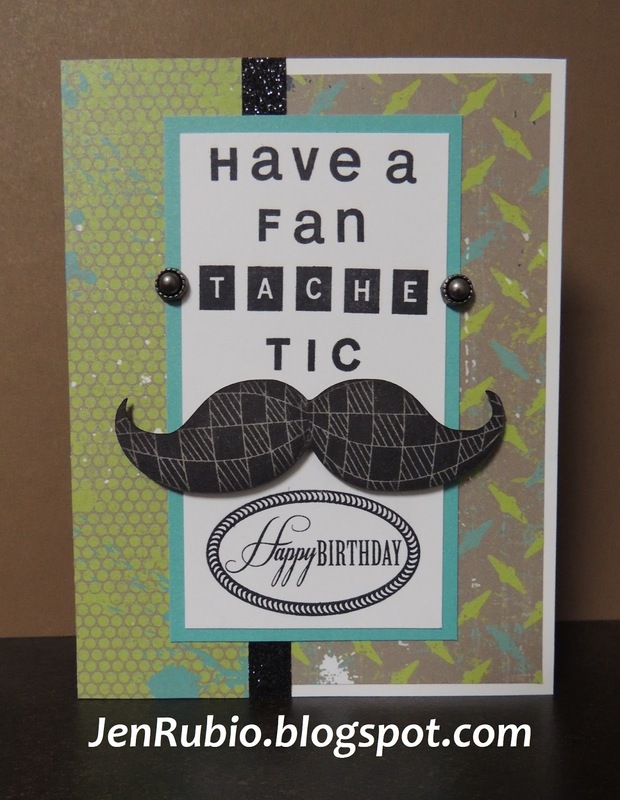 with any $50 or more purchase anytime during April 2013 only! Now you can continue on with our Blog Hop to be inspired by more creativity using this stamp set by visiting MELISSA'S BLOG next! 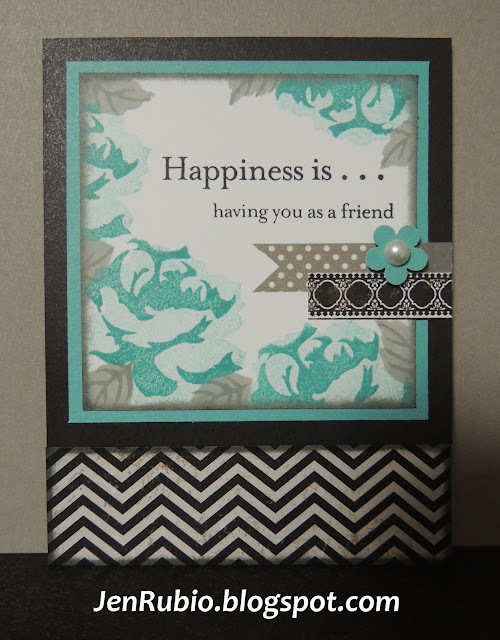 The challenge on the Heart2Heart Challenges blog this week is to create something that is green...my favorite color....so this is the standard-size card I came up with today! The stamps I used include the small hexagon stamps from Honeycomb C1537, a sentiment from the Buzz & Bumble WOTG stamp set G1054, and a cute little turtle from the Pun Fun stamp set C1505. I used a tiny scrap from the Chantilly paper pack X7163B and paper-piecing technique to make the shell on my turtle...and who can resist smiling at his fun wiggley eyes! Ink colors I used include Black, Pear, Sweet Leaf, and Topiary (with "retired" Parchment and Sweet Leaf markers). 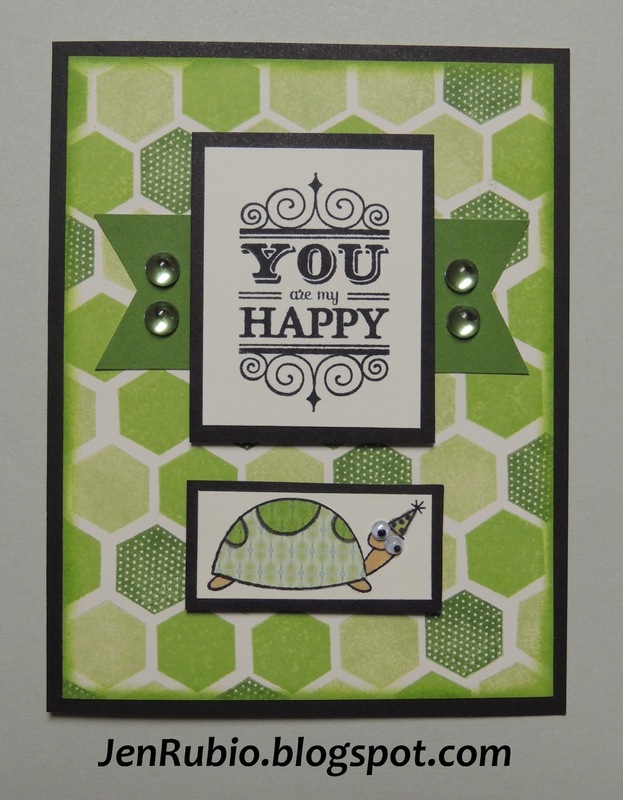 I hope you are inspired by my card to make something green of your own this week! $5 Card Class on Friday 3/8 at 7pm!! 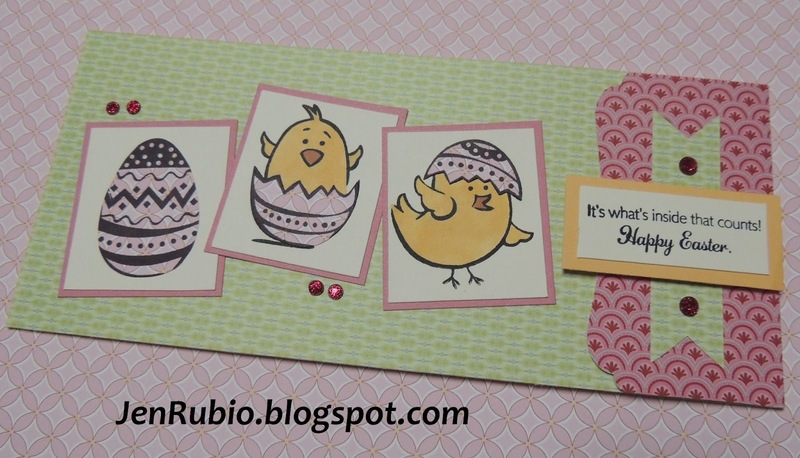 $5 Card Class this Friday, March 8th starting at 7pm! 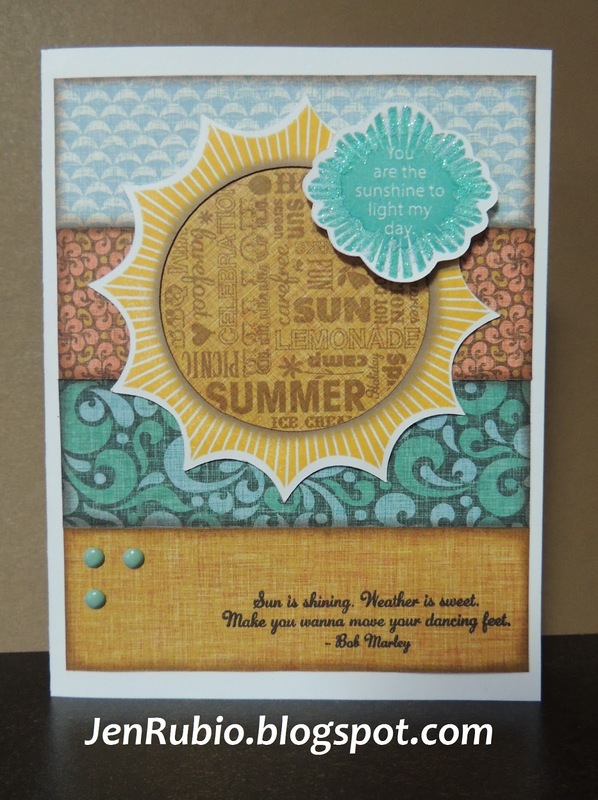 I hope you can join us for the creative fun!! 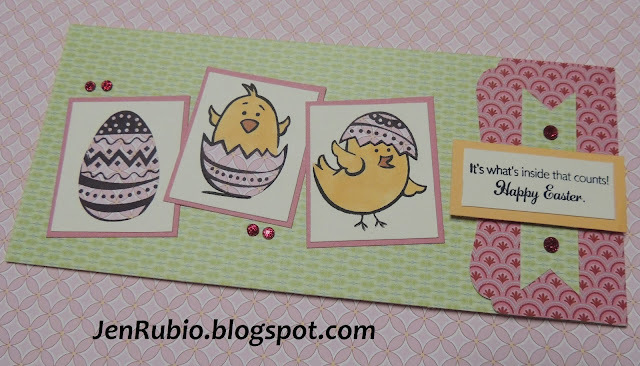 and Easter Wishes stamp set B1422. 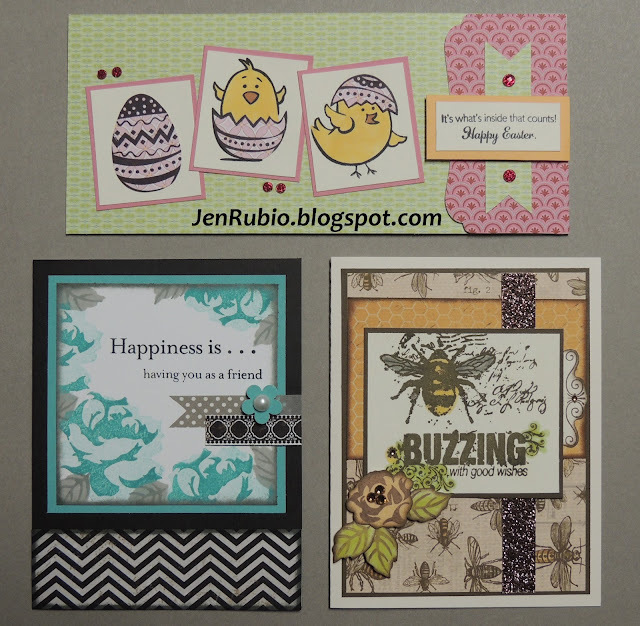 and Floral Happiness stamp set S1303 (March SOTM). 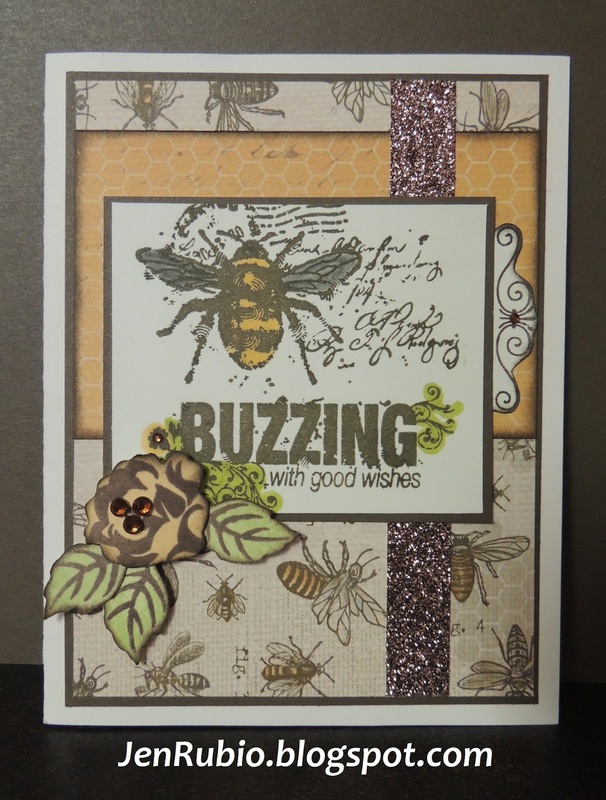 Standard-size card (above) featuring the Buzz and Bumble papers X7164B and a variety of stamp sets including: Floral Happiness S1303, Quick Cards - Bumble Bee stamp set A1135, as well a scroll design stamp from the Buzz and Bumble WOTG kit G1054.